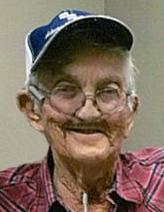 Hastings resident Gary E. Wolfe, 81, passed away Friday, February 1, 2019, at Mary Lanning Healthcare, Hastings, NE. Memorial Services are 10:30 a.m. Thursday, February 7, at Faith Lutheran Church in Hastings with Pastor Paul Dunbar officiating. Private family burial will be held at a later date. Memorials may be given to Faith Lutheran Church. There will be no viewing or visitation. Gary was born October 24, 1937, in Hastings, NE to Alfred E. & Edna (Kirschner) Wolfe. He was baptized and confirmed at Zion Lutheran Church in Rosemont, NE. Gary drove a truck for many years. Gary was preceded in death by his parents and grandparents.